Script translation unlike any other types of translation, is different as these are the scripts or dialogues that needs to be translated according to the film or videos. The scripts can be translated efficiently into the targeted language only by experienced translators who are in the industry for many years and have translated different types of scripts. Quick Transcription Service takes the opportunity to provide the highest quality script translation services for our clients from across the world. We are the professional script translator agency have done numbers of projects in translating all types of scripts for our clients. We also have many repeated clients who have recognized our services for being the best in the industry. 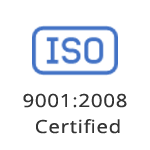 We are the certified script translation company with all advanced infrastructure and experienced team of translators to support us in every aspect of translation. If you are looking for the best script translation agency, then pride being your choice of company in every means. 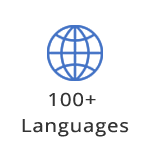 We always strive to provide the language services at low costs that are best possible in the industry for our clients. Our focus is to make our service feasible to all clients regardless of individual or company. Thus we make sure that the rates are low and competitive, however you will never get any quality compromised. Thus you can experience the best script translation services from us online. Chinese script translation and more.